Forest Company Fined $9,900 for Unlawful Sale Of Aggregates. 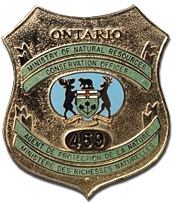 A forest company in White River, Ontario, has been fined $9,900 for three violations under the Aggregate Resources Act. White River Forest Products Ltd. pleaded guilty and was fined $3,300 for each violation. Court heard that between April 30, 2012 and June 12, 2012, White River Forest Products Ltd. sold gravel on three separate occasions within the community. The gravel was provincially funded and was only to be used for forest access roads and could not be sold. The company was fined for unlawfully operating a pit or quarry without a permit. Justice of the Peace Liette Hunter heard the case in the Ontario Court of Justice, Marathon, on June 18, 2013.
call 1-877-TIPS-MNR(847-7667) toll-free any time or contact your local ministry office during regular business hours.